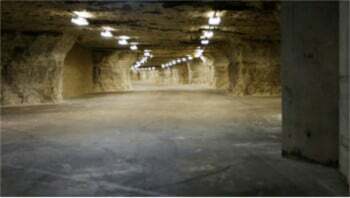 Is An Underground Shelter The Best Place To Survive The Apocalypse? Think of the Twilight Zone episode “The Shelter”, the City of Ember, Romero’s Day of the Dead, the videogame Fallout 3: underground shelters are often the very last resort of humanity in the post-apocalyptic genre. But are they really the best place to survive real disasters and catastrophes? Well, if you were Robert Vicino, founder of The Vivos Group, the answer would be yes, absolutely – but only if you were talking of a Vivos shelter. 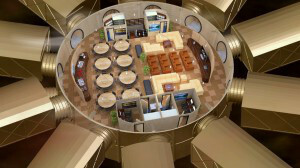 The Vivos Group, a California-based company, is building a network of hardened underground shelters all around the world: community shelters able to accommodate thousands and thousands of people for a year (at least). In Vicino’s words, their shelters are “designed to survive virtually any catastrophe, or threat scenario including natural disasters, a nuclear blast, chemical and biological weapons, or even social anarchy“. Here the full list of threat scenarios Vivos shelters are ready for. When completed, the Vivos underground network will be strategically located around the globe (so far, they built or projected shelters in North and South America, Europe and Australia). Vivos shelters are located in secret places. Vicino doesn’t say specifically where the shelters are located, because he fears there would be anarchy in the event of a world-changing catastrophe. But the Vivos shelters will be easily reachable from the major metropolitan areas they serve, and all of them are deep underground, airtight, fully self-contained and self-sufficient, and they have deep water wells, on-site fuel for power, food and storage for all supplies, medicines, survival gear, sewage systems and security measures. Obviously, getting your survival place comes with a price. Land purchasing costs, building costs (projected total cost of each bunker varies, typically between $6 million and $20 million) and all the amenities have an impact on the price of your survival chance. Do not forget, it’s a business too! While prices seem to vary depending on location, for most of the shelters applicants are expected to pay a price in the region of $35,000 per child and $50,000 per adult to be part of the post-apocalyptic generation. Does it seem on the dear side? Perhaps that’s why 2 articles on The Vivos shelters have been published on Forbes? The price doesn’t seem to discourage the potential buyers, and apparently thousands and thousands of people have already expressed their interest in getting a place in the Vivos shelters. But if you can’t afford that price for your family, don’t despair yet. The Vivos Group has recently been opening cheaper places in huge shelters where economies of scale have been possible, such as the shelter which is going to be built in Kansas. 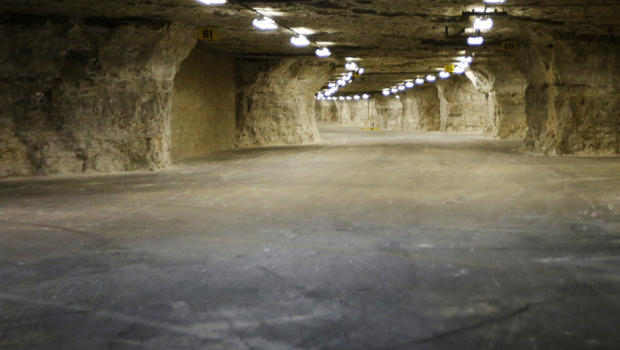 Built in caverns created by limestone mining operations and then used as an U.S. Army storage facility, the Kansas shelter will be the world’s largest private underground survivor shelter, and will have enough space for more than 1,000 RVs and up to about 5,000 people. In case of a catastrophe, expect to live in your RV: you will be charged $1,000 for every lineal foot of your RV, plus $1,500 per person for food. A family of four parking a 25-foot vehicle in the shelter will pay $25,000 for the space and $6,000 for food. Anyway, willing to pay is not enough to guarantee your survival. You have to send your application in, and then potential members are reviewed and screened by a committee, based on their skills and ability to contribute to the shelter community. As Vicino said, the idea is to build a sort of Noah’s ark: ideally, each shelter will have doctors, police officers, teachers, etc (ideally, all of them in pair). And the shelter building starts only once a critical mass of members have made a reservation for co-ownership. That’s why only a few of the shelters in the network have actually been built so far (mostly in the US, in Indiana, Nebraska, and California), while most of the others are still in progress. Alternatively to paying for a place in a community shelter, The Vivos Group has created private shelters suitable for families from 4 to 12, that can be discreetly installed just about anywhere, in under a week. They come fully furnished and outfitted, ready to be installed, and to survive virtually any catastrophe that may be ahead. I don’t know their price, but they might be cheaper than most of the community shelters built by Vivos. And you won’t have to go through any screening process to be able to live in them. Like it is said in the video, this is the one piece of real estate that you want to own, but you never want to use.